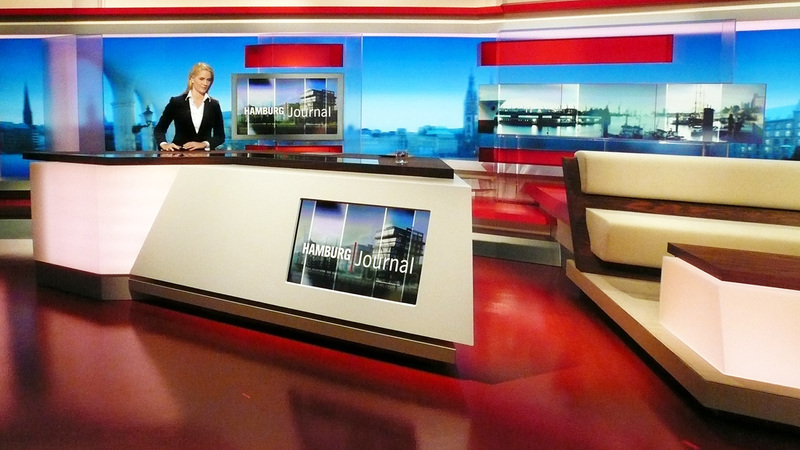 „Hamburg Journal“ is a daily TV magazine for the northern metropolis. The bright, dynamic studio architecture with its red accents contrasts with the blue tones of the panoramic view of the city in the evening. 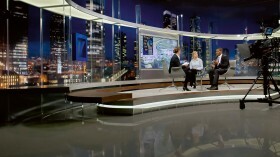 A frameless video wall illustrates the mood of the show with seasonal images. A sliding monitor in the background and one in front can be used to illustrate the topics.